Strabo (ca. 64 BCE to ca. 25 CE), an Asiatic Greek of Amasia in Pontus, studied at Nysa and after 44 BCE at Rome. He became a keen traveler who saw a large part of Italy, various near eastern regions including the Black Sea, various parts of Asia Minor, Egypt as far as Ethiopia, and parts of Greece. He was a long time in Alexandria, where he no doubt studied mathematics, astronomy, and history. 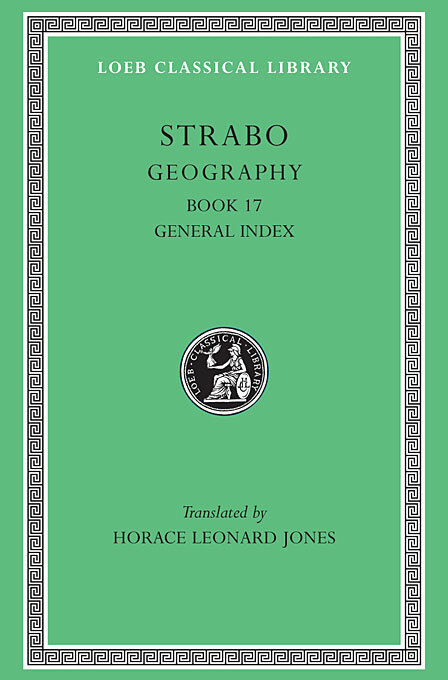 Strabo’s historical work is lost, but his most important Geography in seventeen books has survived. After two introductory books, books 3 and 4 deal with Spain and Gaul; 5 and 6 with Italy and Sicily; 7 with north and east Europe; 8–10 with Greek lands; 11–14 with the main regions of Asia and with Asia Minor; 15 with India and Iran; 16 with Assyria, Babylonia, Syria, and Arabia; and 17 with Egypt and Africa. In outline he follows the great mathematical geographer Eratosthenes, but adds general descriptions of separate countries including physical, political, and historical details. A sequel to his historical memoirs, Geography is planned apparently for public servants rather than students—hence the accounts of physical features and of natural products. On the mathematical side it is an invaluable source of information about Eratosthenes, Hipparchus, and Posidonius. 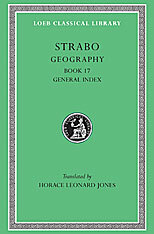 The Loeb Classical Library edition of Strabo is in eight volumes.